Titan Weekly Events and TOURNAMENTS!! Warhammer/Kill Team every Thursday beginning at 4 pm! Future tournament TBA. Free! 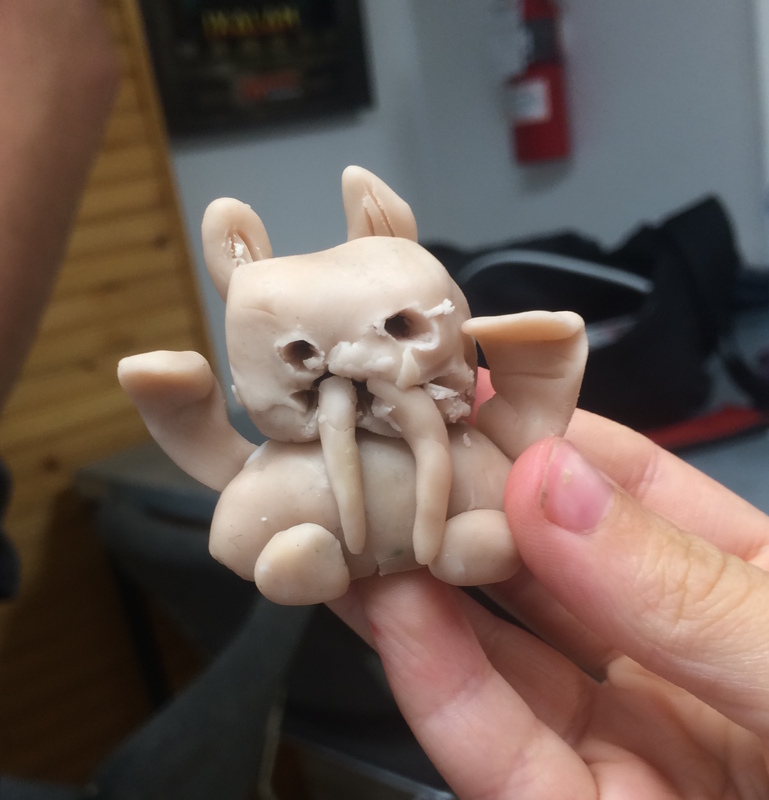 Play some games, paint minis, chat with other Warhammer enthusiasts!! Remember, all Warhammer is 10% off at Titan Gaming!! Magic at Titan Gaming: Tournaments every week! Standard, Draft, Modern, Brawl, Commander, and Sealed League formats every week! Titan Gaming is your Magic destination. See event calendar for dates and times, or just swing on by!! Next expansion: War of the Spark at the end of April. Christmas Time is GAME TIME and GIVEAWAY TIME! 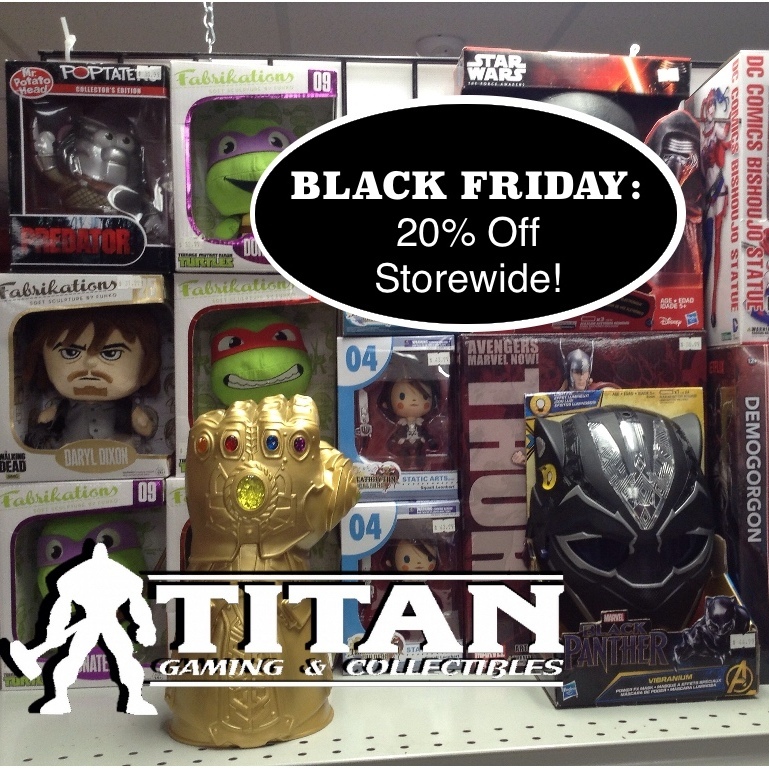 Titan Gaming has a huge selection of Board Games, Brain Teasers, Card Games and Miniatures, plus toys, clothes, books and great food! Get the gifts they want here! 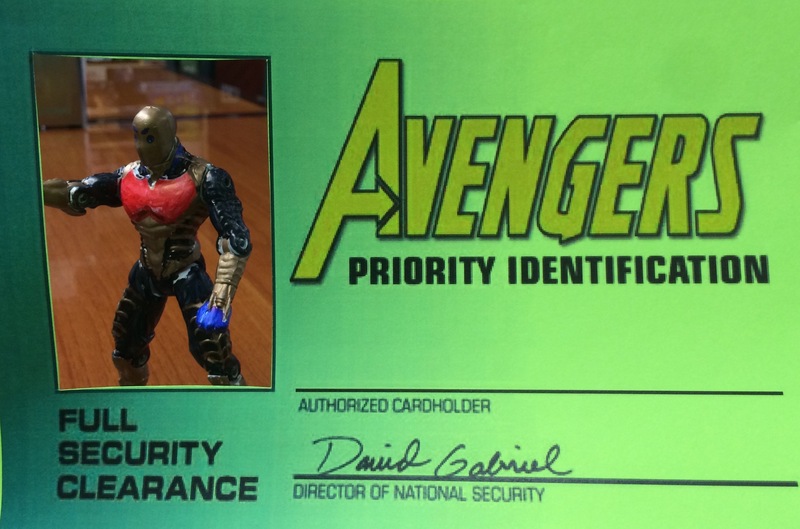 We’ve got a great prize for our TITAN FACEBOOK followers this month! Check out the Facebook contest to win $50 credit this month (link under photo)! 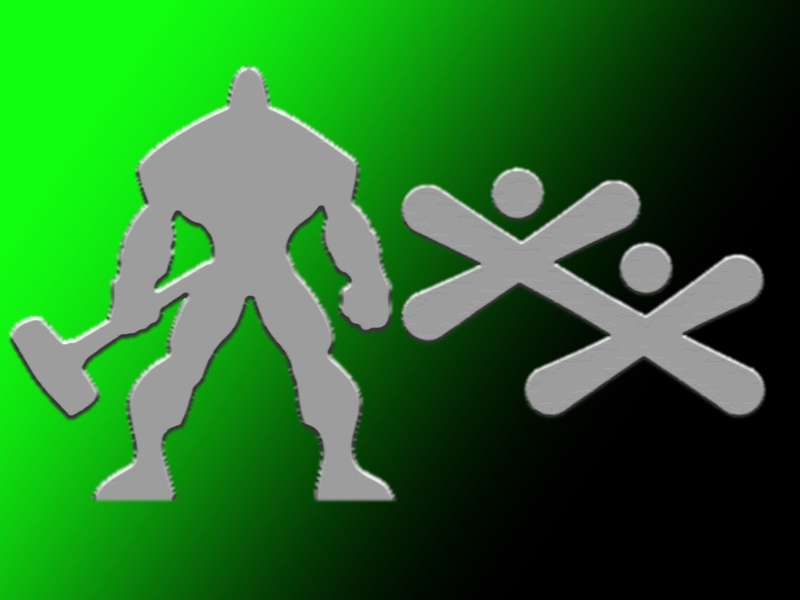 Titan is Gamer Central – Tournaments Every Weekend!! Tons of ways to play Fortnite, Rocket League, and any of the other games in our gaming café! All gaming tournaments and league nights are $5 per player. **NEW** WEEKLY Fortnite Duo (2 vs. 2) tournament: Every Saturday @ 5 pm! 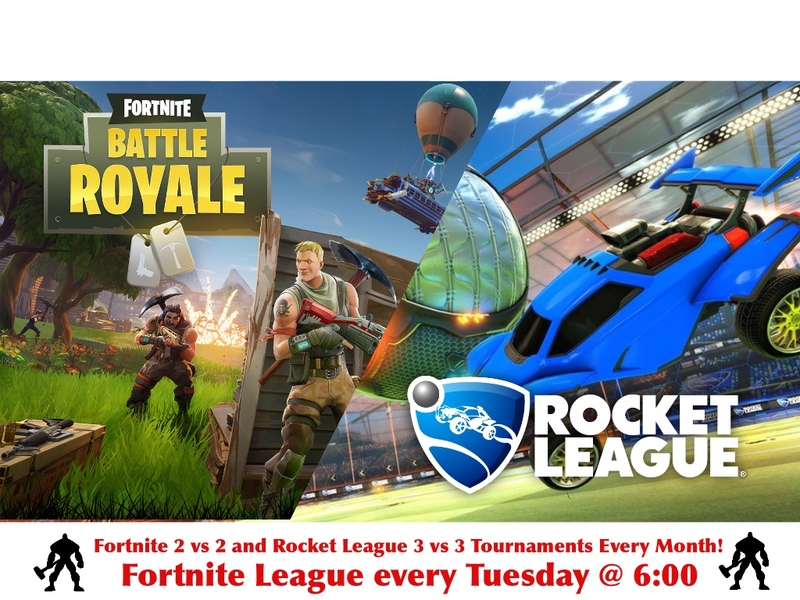 Fortnite League is every Tuesday beginning at 6pm! We track your kills each week and award the most effective warrior store credit and a Titan T-Shirt at the end of our 12 week season. 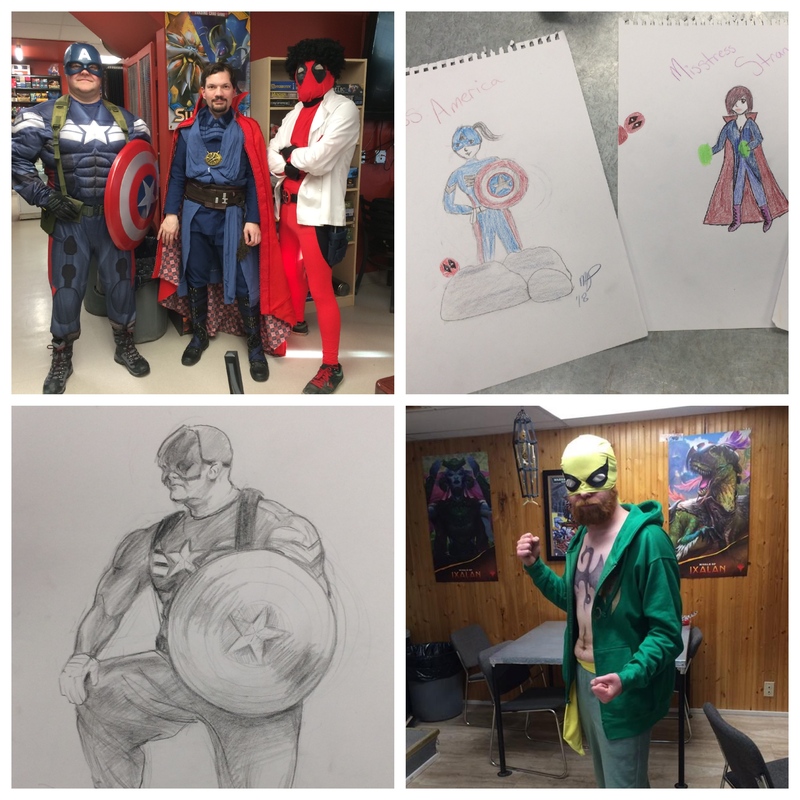 We had a fantastic time with all our young artists in the design a Superhero art classes this month! Thanks to everyone who participated! 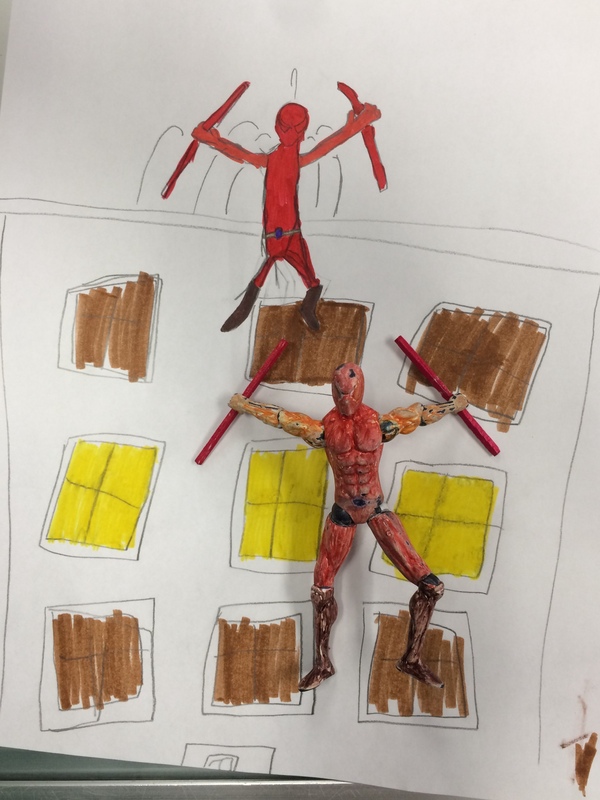 Participants drew, sculpted, played art games, designed logos, and got to create their own action figures! Stay tuned this winter for another session, this time with separate beginner and advanced art workshops! 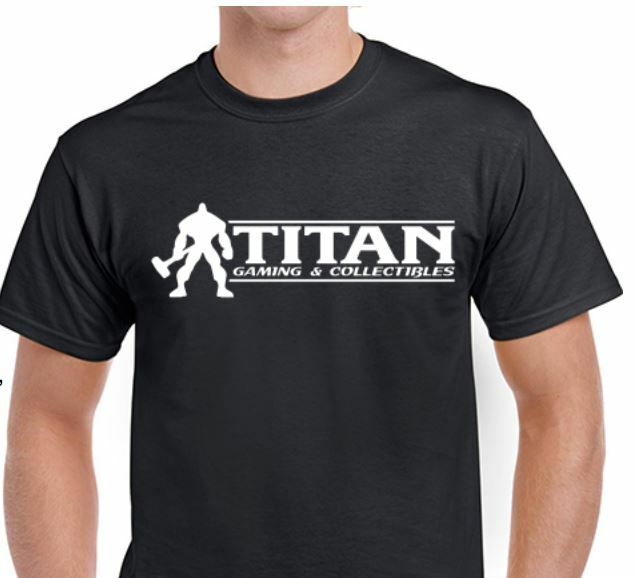 Titan T-Shirts are now in stock in Sm – XL sizes, mens and ladies sizes! Titan Gaming is pleased to announce a new partnership with the Boys and Girls Club of Yukon! The Boys and Girls Club of Yukon provides a safe supportive place where children and youth can experience new opportunities, overcome barriers, build positive relationships and develop confidence and skills for life. In the coming months, Titan Gaming Café will be sponsoring teams for gaming tournaments, provide some technical support for their computer lab, use of our Gaming Dungeon for special events, and best of all for Boys and Girls Club members, your BGC annual membership will now include an annual gaming membership at Titan! We are happy to support this very important resource for our community’s children! 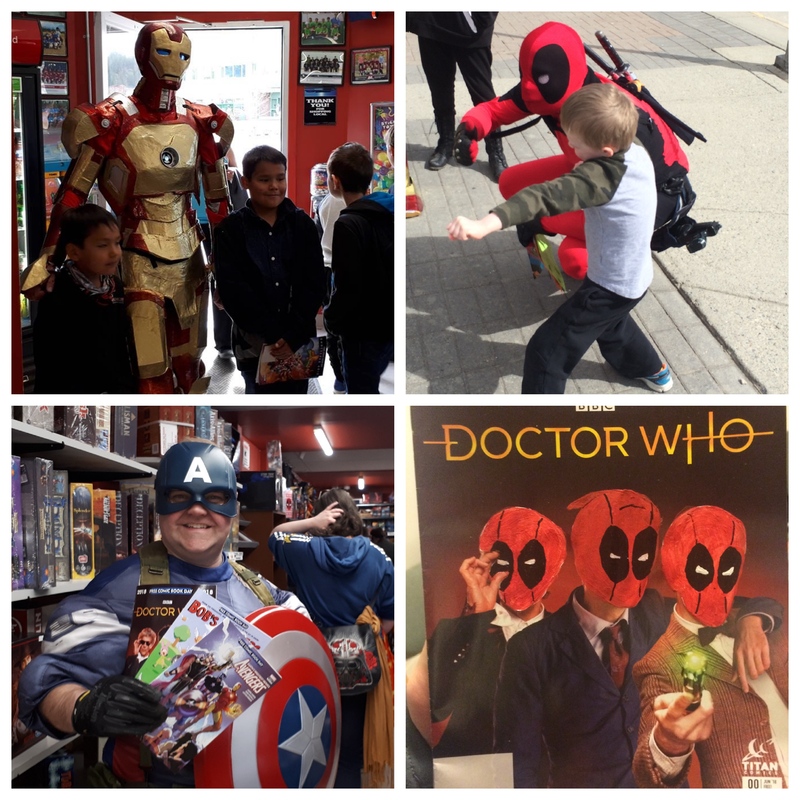 FCBD 2018 was a BLAST! We had a great time at FCBD this year! Thanks to all our local Cosplayers for coming out and hanging with the kids! Whitehorse’s Superfriends also came out for our Super Hero Life Drawing night! Thanks so much Captain America, Dr. 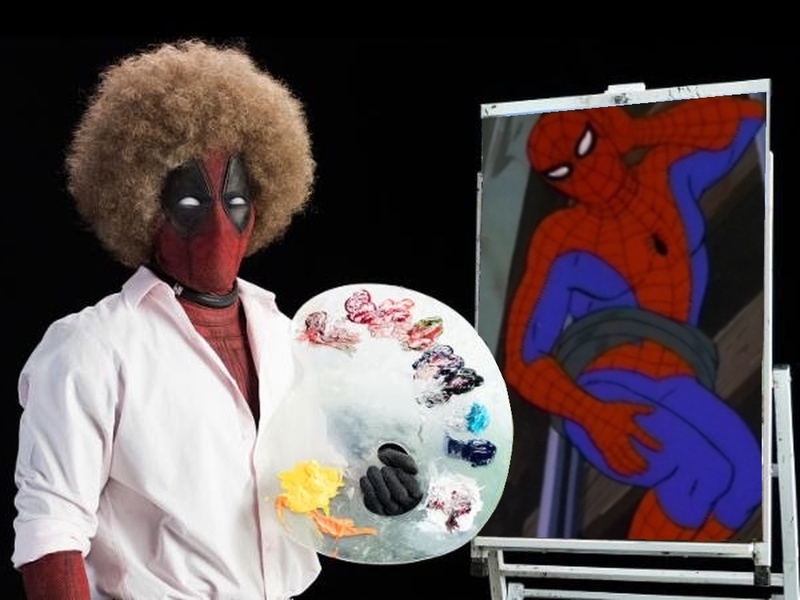 Strange, the Immortal Iron Fist, and special host Bob Ross Deadpool! All COMMON Cards from any set. 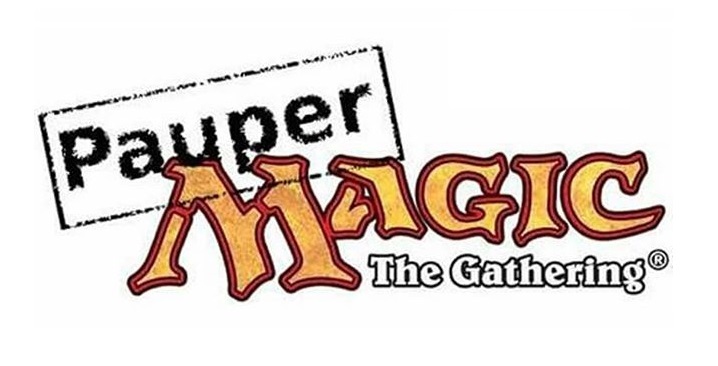 The most affordable Magic format you can play. 60 card constructed format/15 card sideboard. $5 to join the tournament, each player receives minimum one pack! Avengers Infinity War and Deadpool 2 come out this spring, and you just might see the stars of these movies at Dungeon Draw April 24th! For more updates, join the Dungeon Draw group on Facebook!